Size: 4.33 in. x 1.89 in. 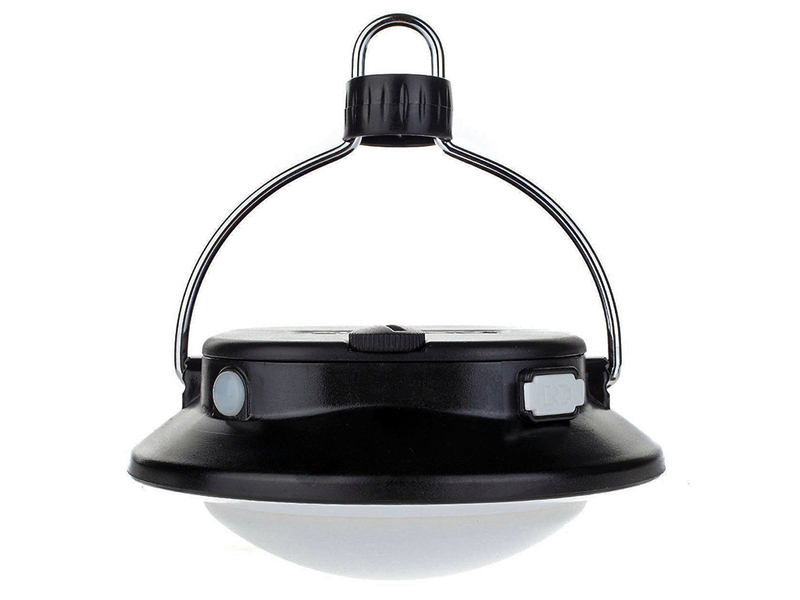 There is a limited selection of rechargeable LED lanterns and an even smaller selection of down-light models. I was happy to come across the Suboos Gen 2 Ultimate LED Tent Lantern. It looks like it is also available under other names like "iMarky Rechargeable Camping Lantern". It is advertised as being 280 lumens on high and it appears to be true. 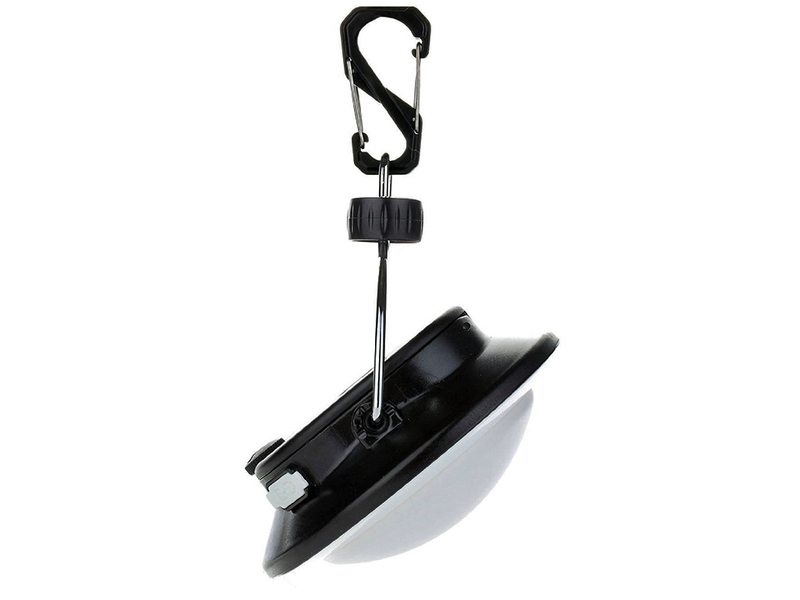 It easily lights up a small room when hung overhead similar to a single burner propane lantern. The build quality seems adequate and the ability to adjust the angle of the light is a nice touch. I like the fact that it uses readily available rechargeable 18650 Li-ion batteries. 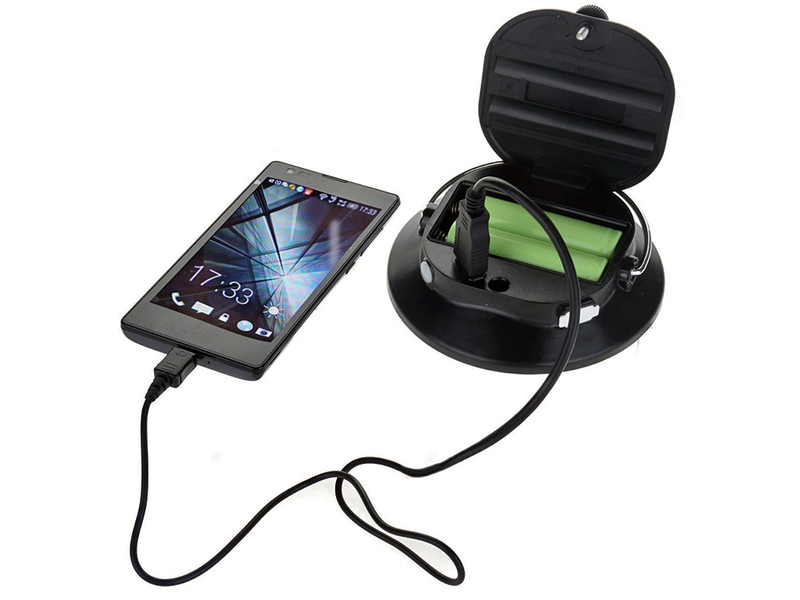 It is also a great feature that other small USB devices can be charged from the lantern if needed. 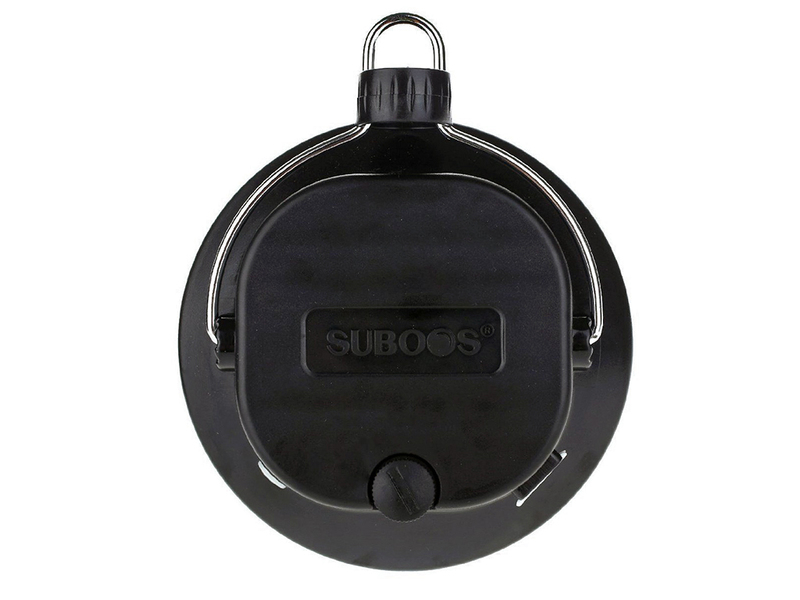 Suboos claims a 6 hour run-time on high (280 lumens) for the Gen 2 Ultimate LED tent lantern. I am happy to report my tests show this number is low and actual run-time on high is much longer. It's nice to see a product outperform advertised specifications. 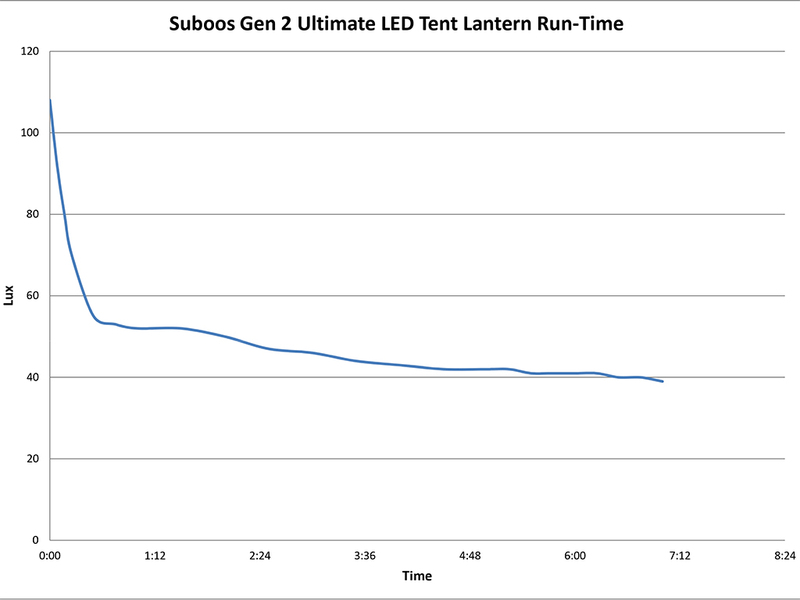 My test shows the Suboos Gen 2 Ultimate LED tent lantern dropped in brighness rather quickly the first half hour before stabilizing to a slower decline. The decline in brightness over time is expected from an unregulated circuit like in this lantern. I have only seen a couple high end lanterns with constant current regulated circuits which maintain constant brightness over most of the run time. For my run-time test, I placed the Suboos Gen 2 Ultimate LED tent lantern one meter above my light sensor (Samsung Galaxy S6 Active w/Light Meter app) and took periodic readings (5 minutes apart at first, then 30 minutes apart). I stopped after 7 hours due to time constraints. If I assume my starting point of 108 lux is equivalent to the advertised 280 lumens, then after 6 hours of running on high the Suboos Gen 2 Ultimate LED tent lantern was still shining at 106 lumens. In any case it was still plenty bright to be useable. I am very impressed and hope this lantern lasts. My only complaint is the lack of a regulated circuit. I heard that this lantern is cool white, but some are saying it's super cool white or "arctic white." What do you think? I hate the really cold light colors for camping. It messes with my eyes and looks bad. I find this lantern to be "cool white". I like the color, but I lean more towards whiter light (I hate yellow light).